What Does NAP Stand For And How Does It Affect Your SEO? NAP stands for your business’s name, address, and phone number. Some SEO experts also add a W at the end of NAP to make NAPW. The W stands for Website. How does NAP affect your local SEO? How accurate does your NAP need to be? Before I dive into the many fun and interesting mistakes made by QuincyLGibbs,DDS, I’d like to first mention that he’s probably a great dentist and a nice guy. 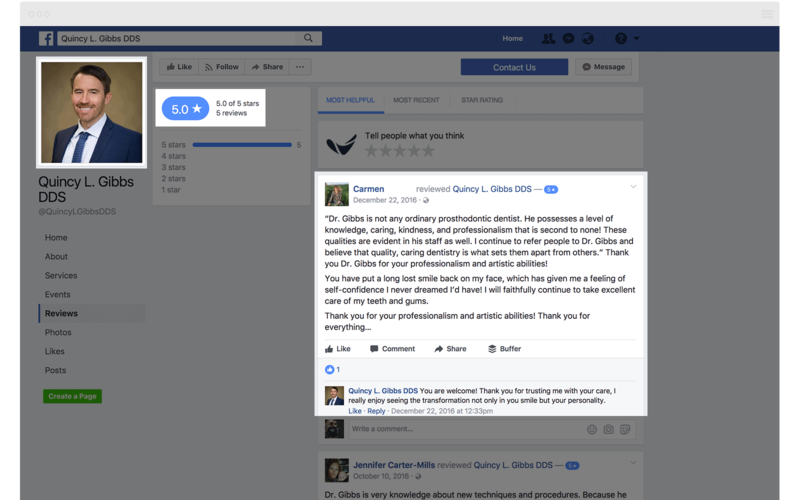 In fact, his Facebook page has a few rave reviews where he even took the time to reply to his patients (something I recommend all of my clients do). So this investigation is nothing personal – he just happens to be a great example of what not to do when it comes to NAP and your local SEO. Error #1: Misspelling your business name (no spaces in between his name). Error #2: Although not technically part of the NAP, make sure to list your business hours. Next, a few different citations of our friend, Dr. Gibbs. In case you don’t know, citations are a reference to your business on another website and often lists your NAPW. Error #1: Inconsistent business name. Error #3: Inconsistent phone number. So far we have three different business names, three different addresses, and three different phone numbers. Yikes! 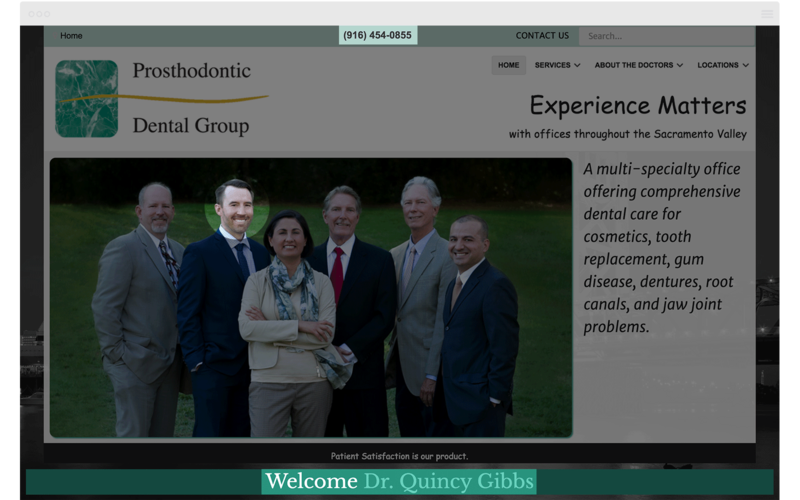 I also found Dr. Gibbs listed on two different dental practice websites which are likely where these inconsistencies stem from. The first website is where his Sacramento NAP comes from. The second website is where his Walnut Creek NAP comes from. What’s the result of this jumbled mess? A very confused Google. And likely, very confused patients. 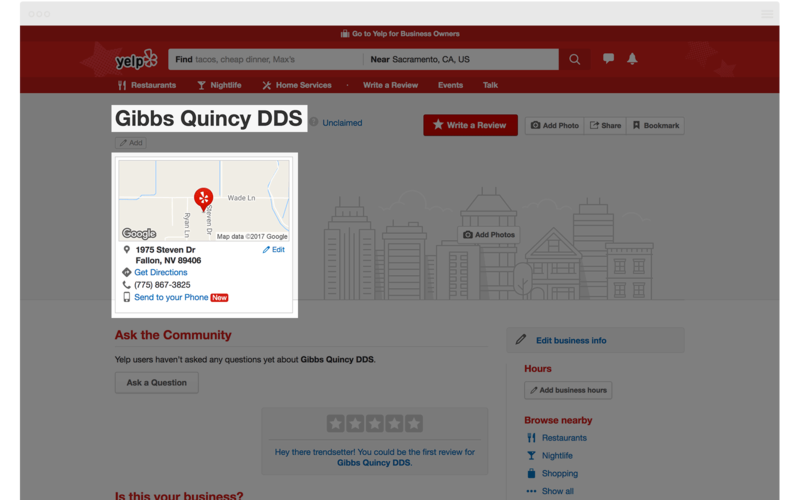 When we search for Quincy L. Gibbs, DDS we notice a few things. 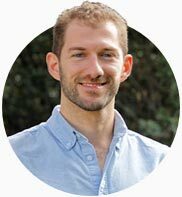 His first organic result is his Facebook page with his Walnut Creek, CA office. 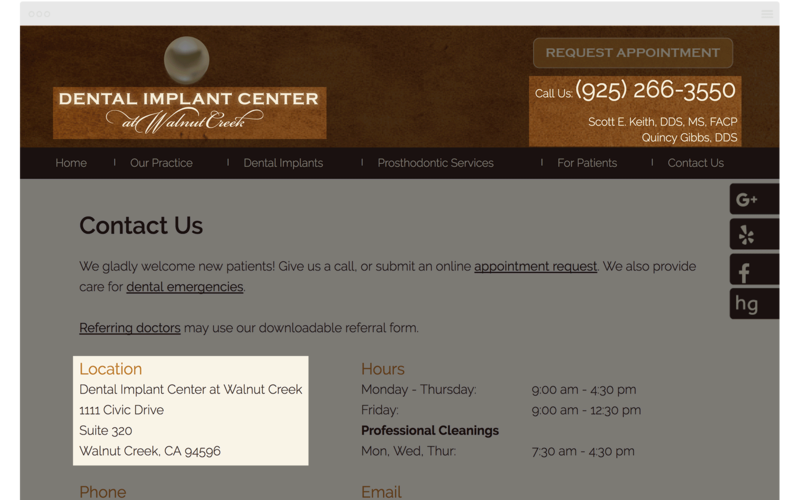 His third organic result is a directory with a Sacramento, CA address. 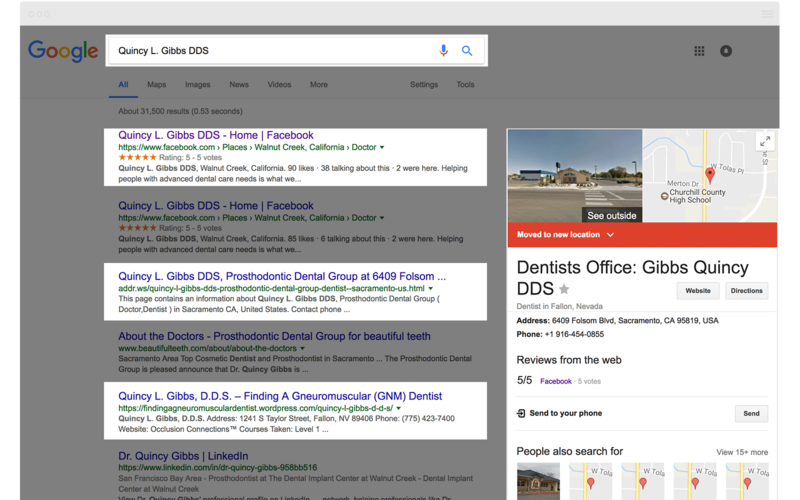 And his fifth result is a dentist directory with a Fallon, NV address. His knowledge graph (the box of information about him in the lower right corner) says he’s moved. It lists the Sacramento address we first saw in the local finder, but the pictures are of the Fallon, NV address. With this amount of inconsistency, Dr. Gibbs has no chance of ranking on the first page. Garden of Eat’n is a restaurant with two locations. Each location has its own NAP information. A key part of their local SEO success is making sure each location’s NAP is consistent and accurate and not confusing Google with overlap from one to the other. 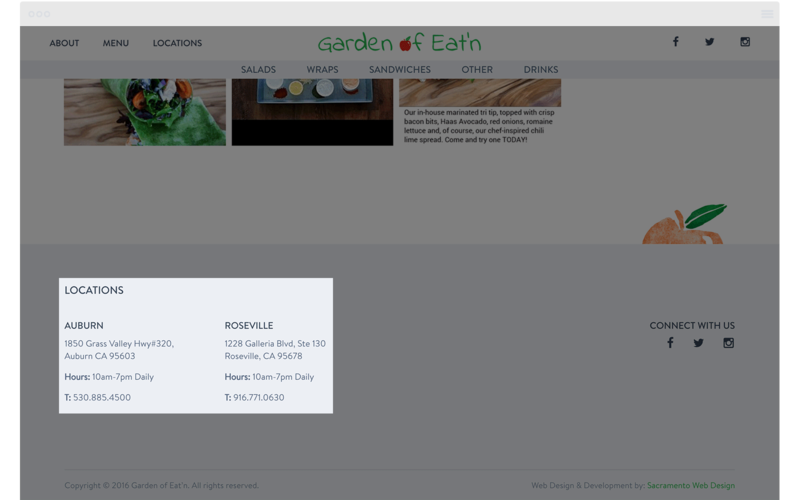 This can become tricky since they want to list the contact information of both restaurants on their website. This provides their customers with a better experience so all information is in one place, but they also don’t want to confuse Google. 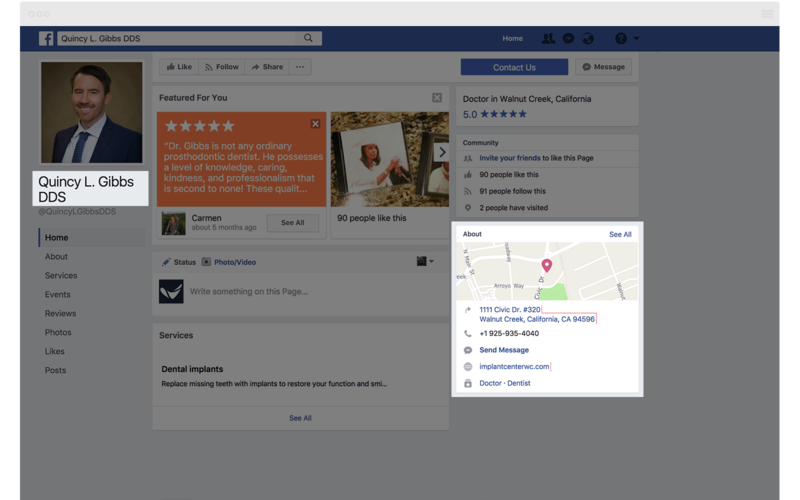 The way they handle this is by having separate Google, Yelp, and Facebook pages with accurate information on each. 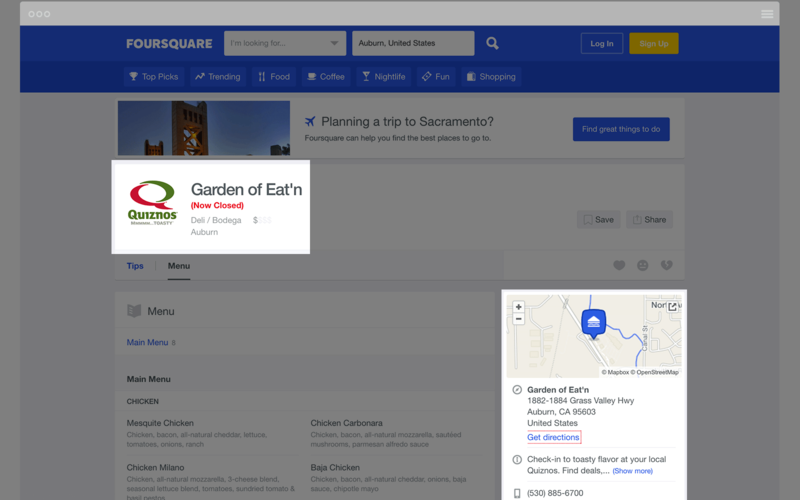 When we search their location in Roseville, CA we see that their NAP is accurately listed on their knowledge graph. When we search their location in Auburn, CA though we notice a couple inconsistencies. First, they’re missing their suite number on their knowledge graph. They should be able to fix this quickly through their Google My Business dashboard. Second, the fifth listing down is their Foursquare listing which says they’re closed. When we take a look at their Foursquare page we see their logo is a Quiznos logo and their NAP information is different from what’s listed on their website and their knowledge graph. As it turns out Garden of Eat’n used to be a Quiznos until the owner sold his Quiznos to open his new restaurant. 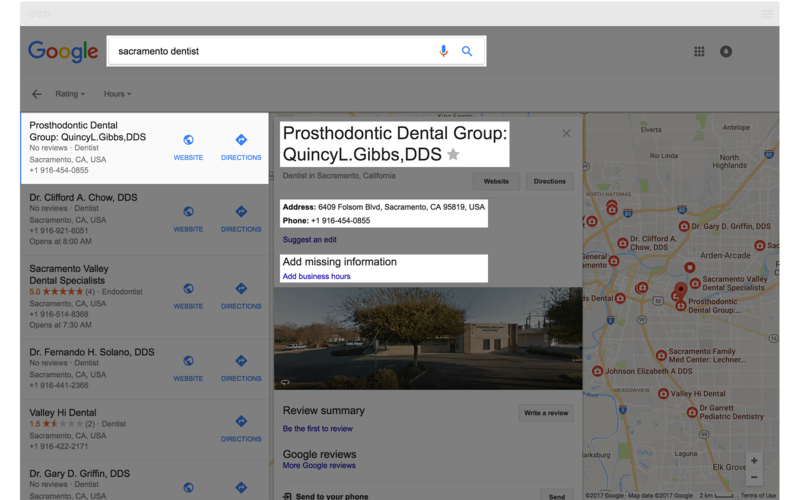 Because they are consistent in all other places this Foursquare listing isn’t causing enough confusion for Google to change information listed on their knowledge graph (which Google will automatically do sometimes as we saw in our previous example). 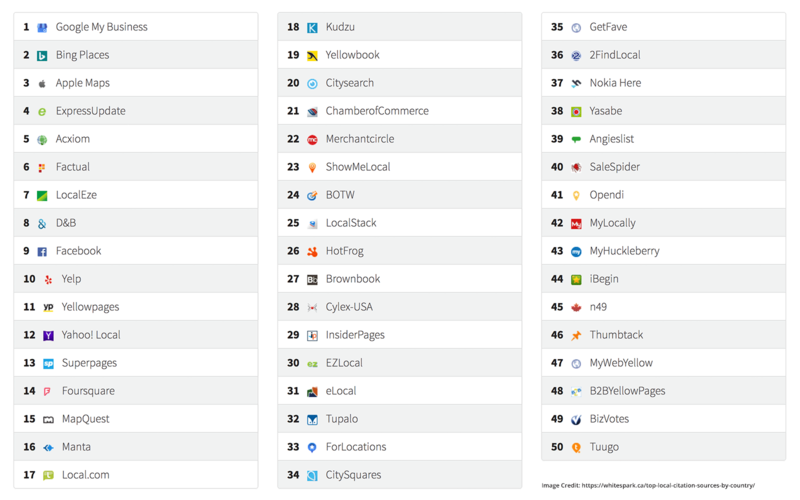 However, Foursquare has over 55 million users. Regardless of the confusion they may or may not be causing Google, they are certainly causing Foursquare users confusion and may be losing customers because of it. The first place Google will look for your NAP is on your website. If it’s not there or it’s different from what you’ve entered into your GMB listing or different from the other citation sources it may work against your local SEO efforts. And not only is Google looking for your address and phone number but so are potential customers. According to a recent study, your business address is often the primary piece of information local searchers are looking for when they perform a search, followed by your phone number. 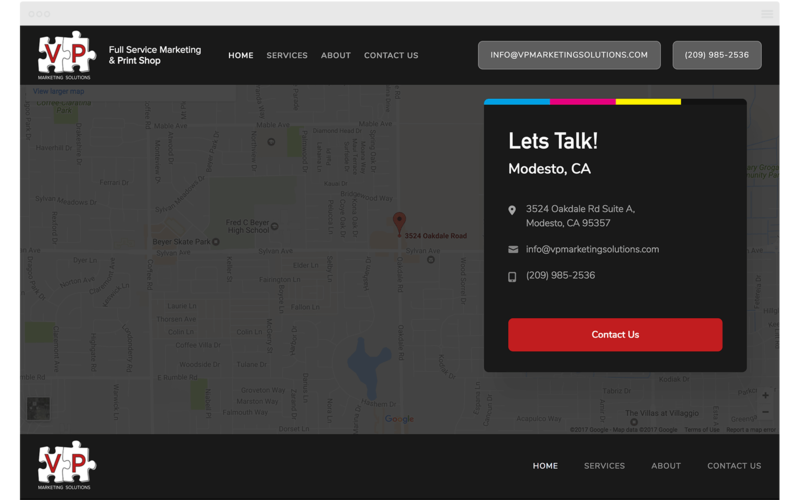 We suggest putting your phone number and address in multiple locations on your website. At the very least you want it in in your footer and on your contact page. 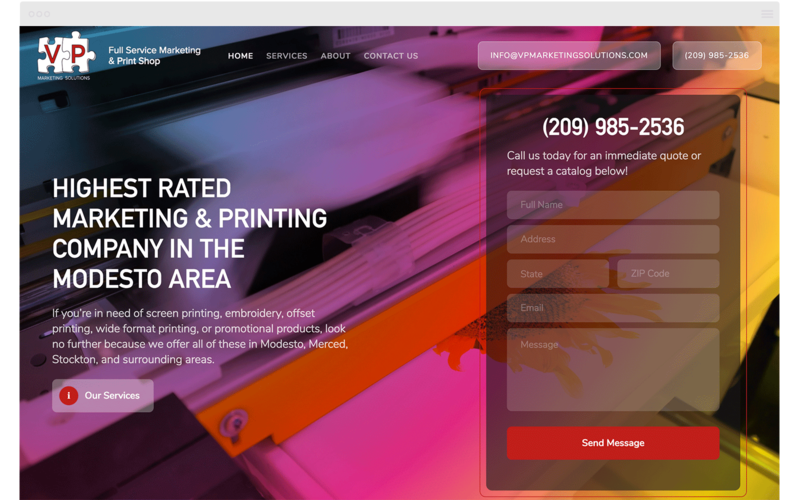 VP Marketing is a local printing business in Modesto, CA. Their phone number is placed above-the-fold on the home page. The phone number and address are in the footer. On a mobile device, it’s also on the menu. In 2017 I almost feel like I don’t have to mention this since it should be obvious, but you also want to make your NAP easily viewable on a mobile device. According to a study by Neustar Localeze 63% of searchers use multiple devices to find local businesses. And according to Nectafy 88% of consumers who search for a local business on a mobile device call or go into that business within 24 hours of their search. People want smooth and easy. If you’re making it difficult for the majority of people to find and read your NAP you raise the chances of losing business. 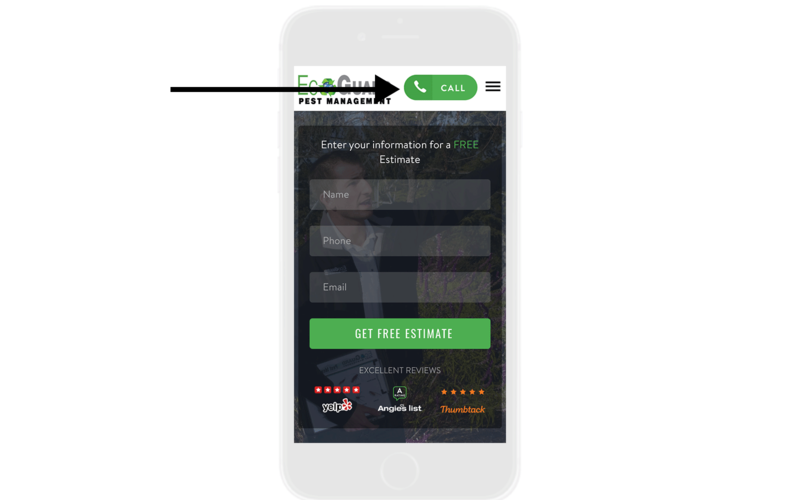 The website for EcoGuard Pest Management in Folsom, CA has a responsive website. When the user is on a mobile device instead of displaying the phone number a phone icon is displayed which the user intuitively knows to press in order to call the business. 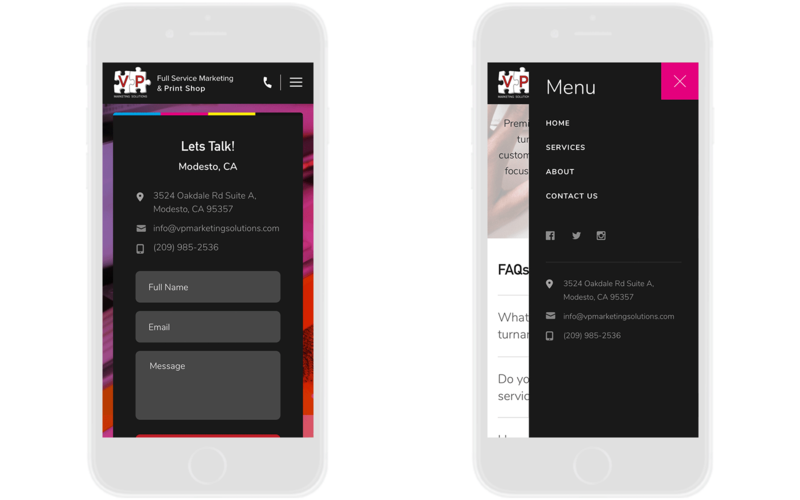 The header is what’s known as “sticky” so even when the user scrolls down the phone icon scrolls with them making it as easy as possible for the user to call as soon as they’re ready. 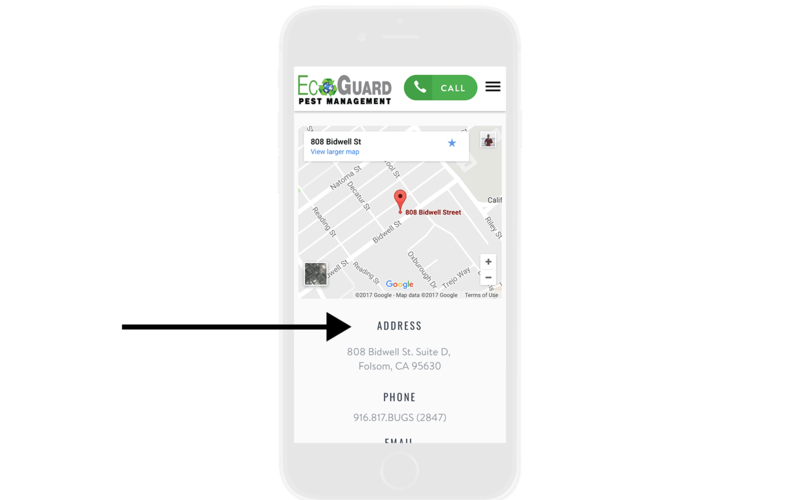 If the user goes to the contact page the address is easily visible and includes a map which the user can interact with. 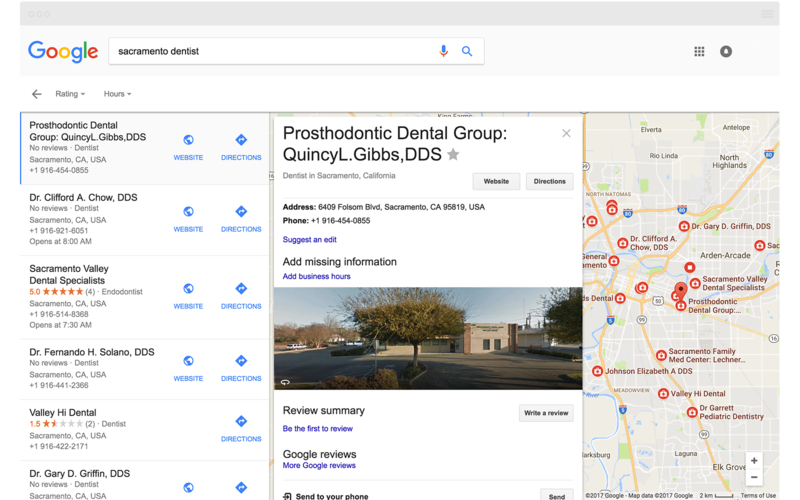 Your GMB listing is a primary source of information for Google and is what they will use to display in your local knowledge graph. I’ve listed it second because if you’re trying to rank on Google they’ll need the correct information. The easiest and quickest way to provide them with your NAP is on your GMB landing page. Setting up your Google My Business listing only takes ten minutes. To verify your address Google mails you a postcard with a verification code. 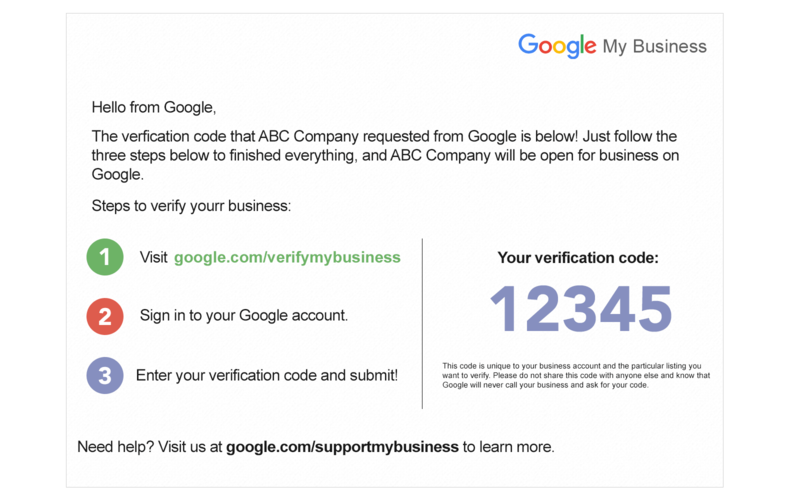 You’ll need to enter this verification code on your GMB dashboard. 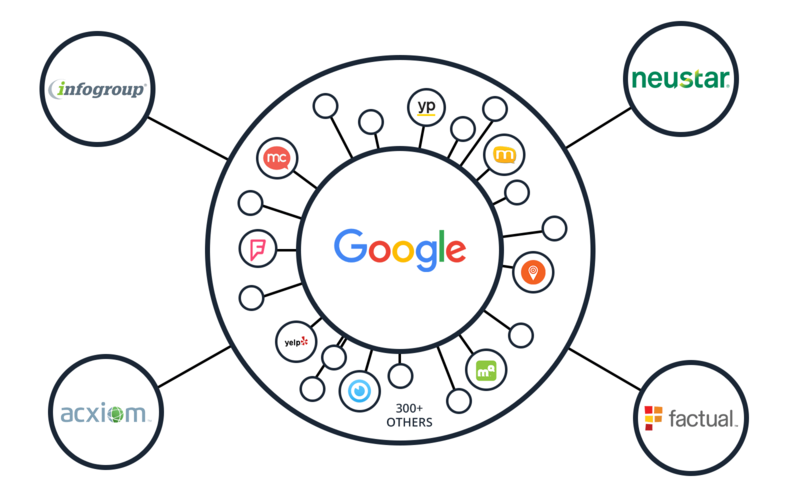 Data aggregators are local search data collectors and providers. They scour the internet for local data about your business and all other businesses. They then provide this information to organizations such as CitySearch, Mapquest, Showmelocal, and others. If they find old or inaccurate NAP information about you then without you knowing it and without them realizing it’s incorrect they may spread that information causing confusion for Google. This is how one piece of incorrect information can get amplified beyond the initial mistake. Citations are mentions of your NAP on other websites. Typically, but not always, these citations link to your website. Some of the most popular websites for citations are directory or review sites including Yelp, Yellow Pages, Foursquare, and others. Not all citations are created equal though. 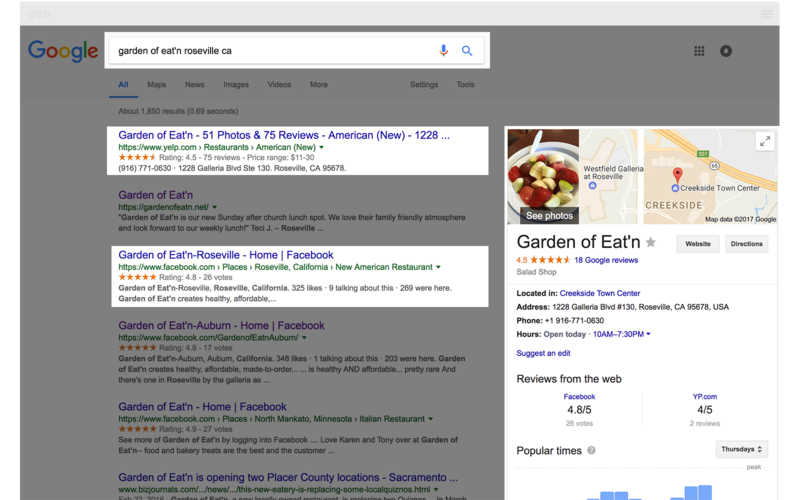 A citation from a very popular site such as Yelp or YellowPages is going to bring you more exposure and carry more weight in Google’s eyes than a citation from an unknown directory that few people use. There are hundreds of directory websites you can get citations from. That doesn’t mean you need to or should spend your time getting your information on everyone. Focusing on the top ten directories in your city is a good start. If you’re in a competitive industry and area then you probably need to work on the top fifty or more. 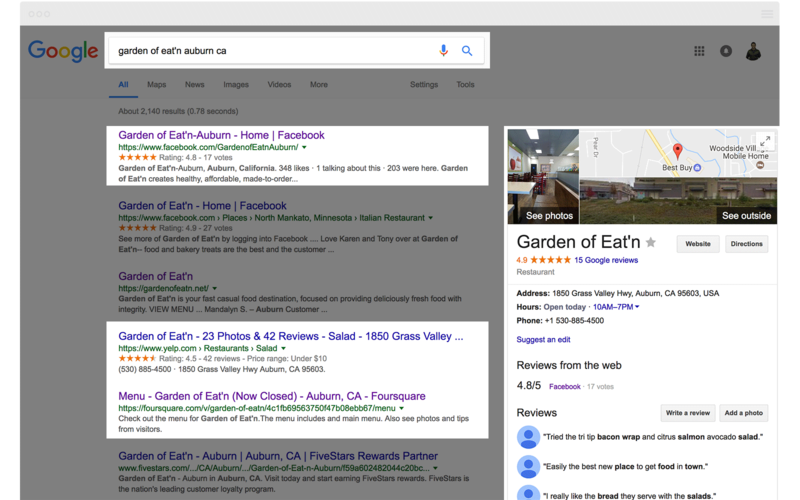 Putting your NAP on your website, setting up your Google My Business profile, and creating citations are all foundational to local SEO, but are not going to give you a competitive advantage. If you want help getting your citations setup you can turn to sites like Whitespark, Brightlocal, or Moz. Each has its own pros and cons. You can also go through an agency who should take care of these and other important local SEO factors. Whatever route you take make sure you get it done to set yourself up for the best chance at SEO success. 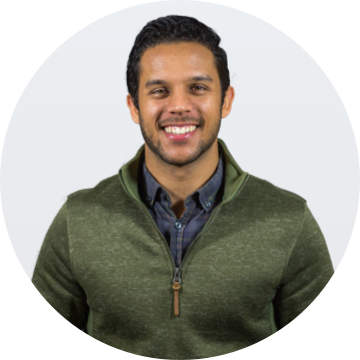 Andrew is Websauce's Marketing Director and co-owner of the agency.